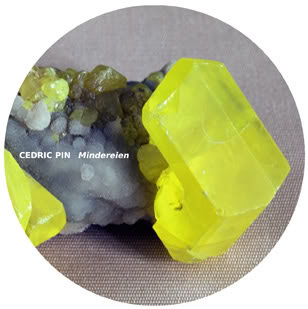 Coriolis Sounds: cs02 - cedric pin "mindereien"
as part of the exhibition "esope reste ici et se repose"
Mindereien is a collection of six short pieces of freely, heavily processed recordings of various electronic devices, acoustic instruments, found and given sounds. Like underpainting on a canvas, background layers of sounds set up the "right tone" over which "colour" is added until the compositions give the sharpest sounds a chance to surface. The identities of sound sources sometimes become intentionally blurred, even lost. Since they've been written independently, the tracks show a certain autonomy but they're linked by a similar linear esthetic which allows the listener to jump from one to the next in a quite smooth way.